If your home becomes infected with bed bugs, you will need to act quickly. The sooner you detect the bed bugs, the better. Early detection could help you prevent the number of bed bugs in your home from increasing. Control Exterminating is the pest control company that will work to get the bed bugs removed, and educate you on how to keep them away. For more than 40 years, we have been providing pest control services to businesses and homeowners in NYC, and we are available to help you year-round. Remember that once bed bugs are inside of your home or office, they could be extremely difficult to control, unless you have the help of a pest control company; Control Exterminating is the business for you. Control Exterminating will inspect your home and look for signs of bed bugs. After our inspection, depending on the severity of the bed bug infestation, we will determine the best plan of action to take. Sanitation a day after treatment is critical. We emphasize vacuuming any dead insects. Preparing for Bed Bug removal is a critical part of the treatment. Clothing from closets and drawers, bed linens must be laundered at dried for 15 minutes at a high temperature. Please click here to download our BED BUG PREPARATION CHECKLIST. Control Exterminating can help educate you on how to keep bed bugs out of your home, and ways to protect your personal belongings from being destroyed. Contact Control Exterminating today and receive service from a local company that has 40 years of experience with bed bug control in NYC – and other pests. When you have developed a reputation for best bed bug exterminator in NYC, it stands to reason that you would have a lot of questions about how we are capable of making such an impression. Control Exterminating uses a very comprehensive method for treating bed bugs in and around the metro area. Our expert technicians are qualified to visually inspect for bed bugs and they have the ability to use canine dogs to inspect for bed bugs. Our canine team along with our exterminators is capable of effectively identifying any size bed bugs problem. Organic pest control, also known to some as green or eco-friendly pest control; such as heat or freezing, works well, as does the use of chemicals. We offer various methods based on the extent of the problem. It is important to notice when there is a musty smell, you develop a rash or there are mattress stains on your bed, which are usually due to bed bugs. When there are bed bugs, every inch of your home or building has to be evaluated. This ensures that the bed bug eggs are identified, in addition to the smallest bed bugs. With our team of professional exterminators, we are able to verify the signs that these pests leave behind. Our dogs and exterminators are NESDCA certified, which means they have received specialized training to find the bed bugs and their eggs. Sometimes, spiders, fleas, carpet beetles, mites and other bugs could actually be the problem that you are experiencing in your home, apartment, building or hotel, instead of bed bugs. When you have bed bugs, our exterminators have to meticulously check your armchairs, desk chairs, clothes, clutter, corners of your rooms, table chairs, rugs. Our exterminator will analyze them all to make sure that none of the bedbugs begin to migrate while we are receiving bed bug treatment. Since we have been in business for nearly ten years, servicing New York City, Manhattan, Brooklyn, and Queens, we’re happy to walk you through our process of controlling bed bugs. When you have a bed bug problem, you never have to move out of your apartment because we would quickly address the problem for you. Control Exterminating will be able to effectively treat your problem with only a couple of visits spread out over a couple of weeks. We’re happy to treat every area of your home, we also use mattress covers to protect your furniture while treating your problem. At Control Exterminating, we have been able to maintain our certification by the NYPMA (New York Pest Management Association) as specialists of bed bugs since 2009. We are considered one of the most efficient bed beg inspection and exterminating services offers pest control services for residential and commercial properties. Our exterminators are always on time, discreet and dependable. Getting rid of a bed bug problem cause for vigilance when treating furniture and other household items in a room infested with bed bugs. We always provide you with instructions so that we do a thorough job. Especially those areas that are not always visible that may be full of loose items of clothing and other things. These areas include underneath your bed and the floor of your closets. How Our Dogs Respond Can Determine If You Have Bedbugs! When our canine scratches any area of your furniture, this gives evidence of bed bugs or bed bug eggs. Then what does our bed bug exterminators do next? Our exterminator will start to evaluate the extent of your bed bug infestation. Bed bugs can land in your suitcase when you are traveling in and out of hotels, subways, airports, and begin building small nests. Our exterminators are able to decide the level of bedbug activity that is occurring in your home. 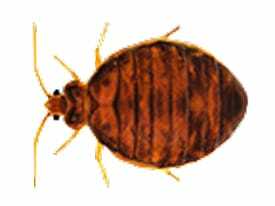 They usually determine this by the number of living bedrooms in order to determine the right way to treat your bed bug problem. This will enable them to effectively eliminate any cycles of bedbugs. Our exterminators will perform an inspection and perform your initial treatment. Within a weeks time we will begin our second process and finally, a third treatment plan will occur for your whole home. With our bed bug process, we make sure that old, young, fleeing or those bedbug eggs that have just hatched are dispersed and their hiding places are sterilized. After about thirty days we will usually follow-up to see if the infestation has been completely eliminated without a trace. Control Exterminating proudly stands by our work and are committed to making sure your problem has been eliminated.